Boston Celtics guard Kyrie Irving is glad to be moving on from his left knee infection after "a long, long two months". 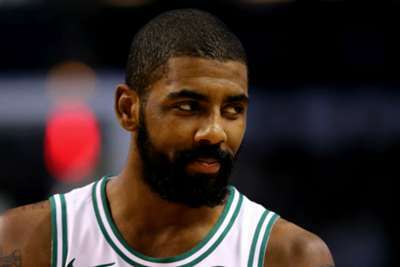 Irving underwent surgery in April and was sidelined for the Celtics' run to the NBA Eastern Conference Finals after it was discovered there was a bacterial infection at the site of two screws in his left patella. 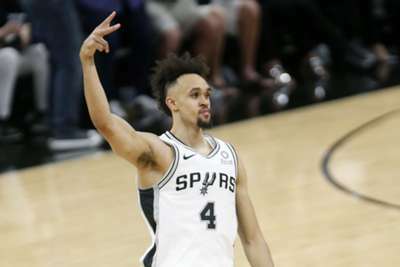 The Celtics star expects to be ready to participate in training camp, but revealed the issue could have been much worse. "You ask anybody with an infection, they will probably try to downplay it," Irving told ESPN. "It's a personal thing because your body is going through it. I was fighting an infection in a specific place in your body where you can't necessarily reach with your hands. "You've got to go in there and see what's going on. What happened for me was that the metal wiring and the screws that I had in there, the infection was on that, so I had to remove that and then be on antibiotics for about two months. "It could have evolved to staph, but good thing we caught it early. I am glad that is done. That was a long, long f***ing two months." Irving averaged 24.4 points, 5.1 assists and 3.8 rebounds per game in his first season with Boston before he his knee injury started to flare.